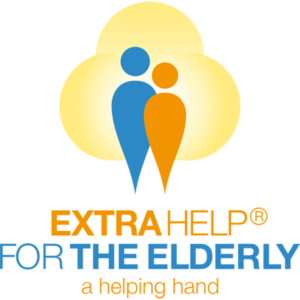 We provide a helping hand for elderly people who are still living independently and require assistance to manage their daily routines. Our fully screened, DBS checked home-helpers are always on hand with a friendly smile, so you can be confident that you can continue to manage day-to-day tasks, whilst still maintaining your dignity and independence. We aim to always provide you with the same home-helper for all your domestic needs, so they become a real friend who you can call upon whenever you need them. We can deal with cleaning, dusting, vacuuming, washing and ironing, to help you to keep on top of domestic tasks around your home. We can also help with meal preparation, taking into account your individual preferences and any dietary requirements. Sometimes it’s difficult to get out to the shops, particularly in the cold weather or if you’re feeling a little off-colour. We can either take you shopping, or take your shopping list and do it for you, if you prefer. When you’re living alone some maintenance tasks can be tricky. If you need some help with changing light bulbs or doing small repairs, we can provide peace of mind and help you to keep your home in full working order. Sometimes having someone to sit and chat, watch a film or go out for a walk with can be just what you need to brighten up your day. Our home-helpers will spend time with you doing whatever you feel like doing, providing the company and reassurance you need. We understand how important it is to stay in touch with friends and continue to attend social activities. We can provide safe transport and accompany you to social activities, day trips or appointments you may need to attend. Dogs need physical and mental stimulation and can get frustrated if they’re not able to be walked regularly, which often leads to behavioural problems. If you have a dog but can’t always get out to give it the exercise it needs, we can walk it for you. We can provide cover if your usual home-helper or family member is unavailable or going away for a period of time, whether it’s for a few hours or whole days to cover holidays etc.